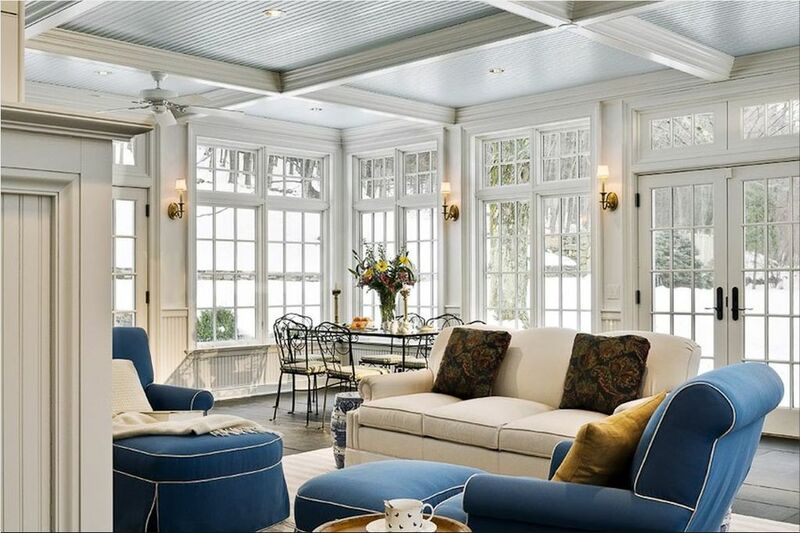 This welcoming screened veranda is among the most elegant rooms I have ever seen. 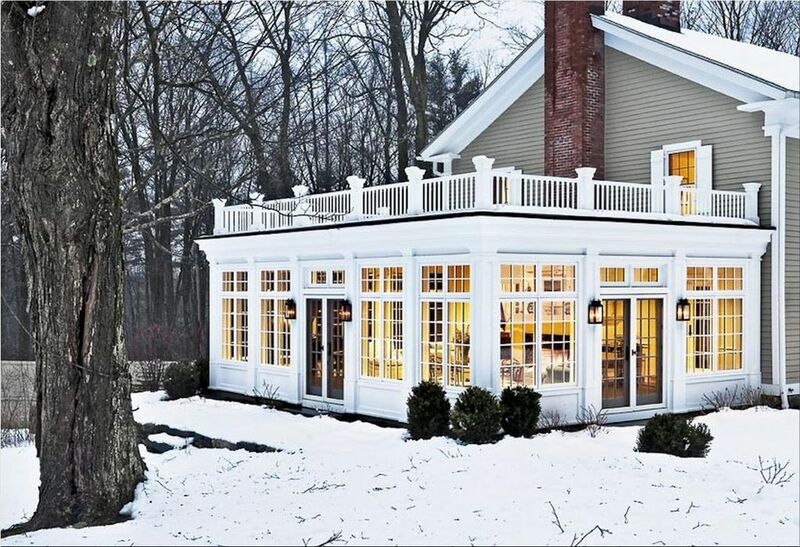 A spectacular sunroom addition that ads instant value to the house is a perfect place for family and friends to dine or just hang out together. 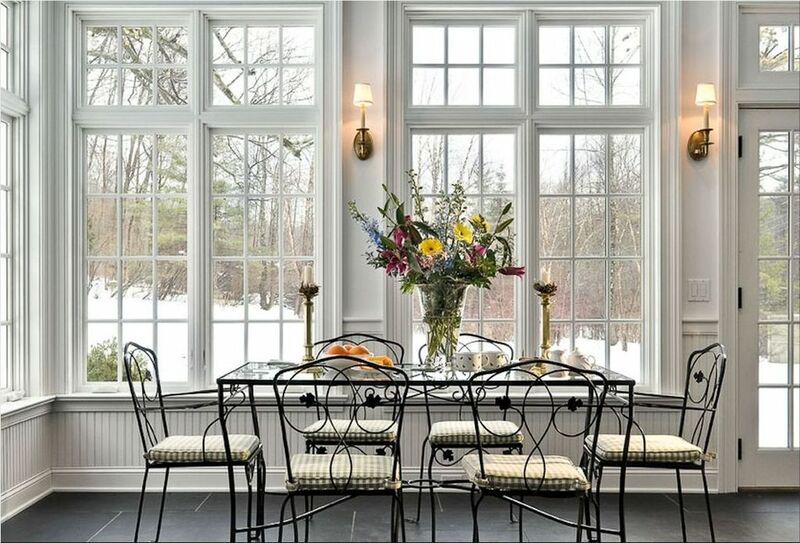 Millbrook, NY-based Crisp Architects have managed to transform a simple country-side house porch into a classic English style living room with large casement windows and doors. 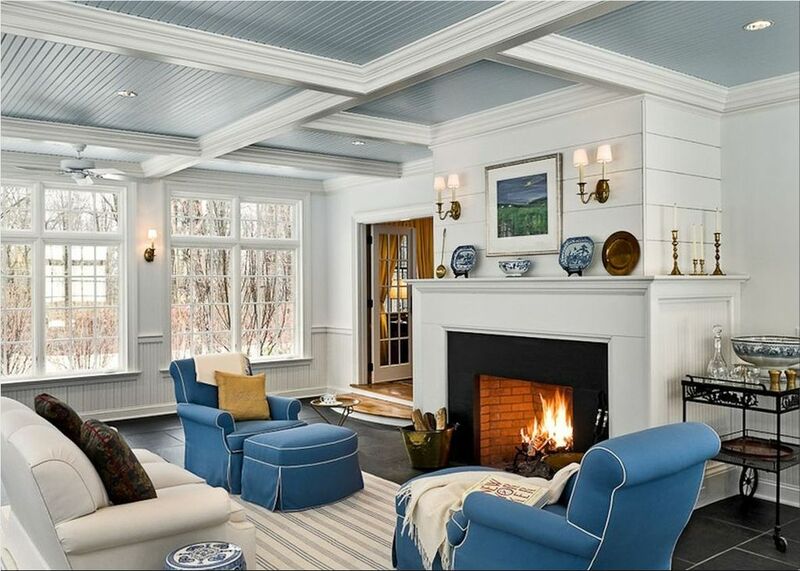 The decorating colors are mainly white with light blue accents on the wood ceiling and deep blue accents for the luxurious armchairs. 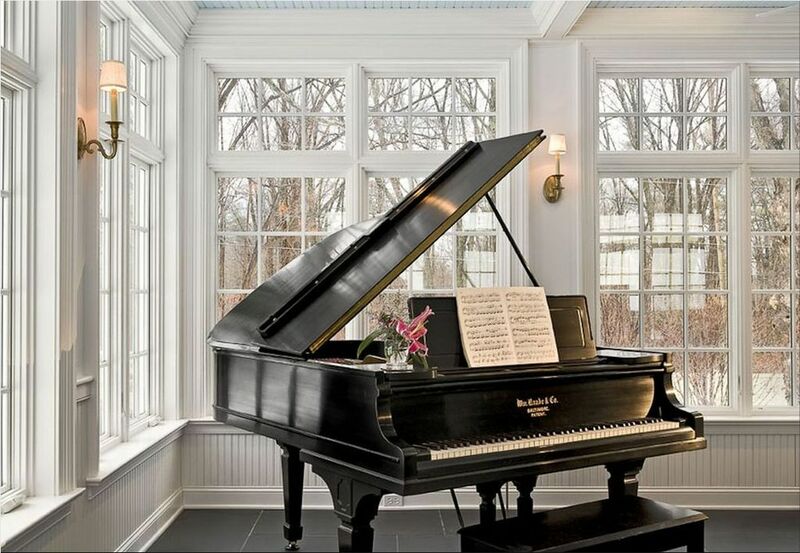 The fireplace can't miss from such a setting, but the element of surprise is the black piano that adds finesse. Such a cozy and bright space easily becomes the favorite room in the winter, warming up by the fire, but also in the summer, cooling down with a nice tea while admiring the landscape.